While it may be easier to call Doc Jams Printer Repair for immediate help with your office printer problems, you may want to dig around yourself. We understand that you may need to at least attempt to save the day, and your documents. Here is some info that may help. If you find you are stuck and you think you need a professional to take care of your printer issues for you, you can always call us. If you are uncertain if you should call us or attempt it yourself just do some quick math: If I spend X hours attempting to fix a printer problem and I normally bill $N per hour to my customers, I’ll be costing myself $(X times N). Or I can just call Doc Jams, get the machine repaired quickly and easily and move on with my life without so much as a second thought. Tip #1: Canned air is not pixie dust. Be careful using it inside or near printers. The cloud of dust and dirt that canned air creates in its wake can quickly make a simple issue a big problem. 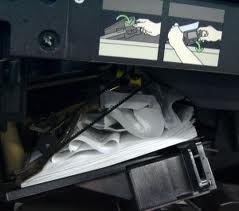 Tip #2: Just because your toner or ink cartridge is new, does not mean that it works perfectly. This goes for ALL brands of toner, including the OEM brands. Toners fail, often right out of the box. If you want to have a printer repair technician come out and inspect the toner for free simply make sure you purchase Doc Jams toner. Tip #3: When a printer warns you that it is almost out of toner or ink or drum life, it may be best to purchase some toner, ink or drums. Otherwise you may end up with an error that states you cannot print. Nobody wants to live in regret, order your low supplies now. Or have Doc Jams take care of your office machine supplies inventory and never worry again. Tip #4: Be nice to your dentist, your mechanic, and your office machine repair person. Pain comes in many forms and service work can be done many ways. Tip #5: If you ever feel the need to cheap out on your initial printer purchase, be prepared to spend dramatically more money on ink and toner than if you had purchased a practical machine. Doc Jams also has a few tidbits to help with simple printer errors. As always you may contact Doc Jams with the form to the right, or by calling 1-888-362-5267. Paper Jam Error, No Jammed Paper Found: Can often be caused by a failure of the pickup assembly. Double check all access doors to be certain no jammed media is found. Dirty Prints: Are you using Doc Jams toner? You may want to start. Be certain your toner cartridge is not leaking. If it is and your toner purchasing location of choice does not offer printer service, call Doc Jams and send an equal bill to your toner purchasing location of choice. Printer Won’t Print: All cables connected, machine on and in a ready state? Can you print to any other printers in your office? Can other users print to that printer? Is your printer connected directly to your computer or to a network? If you can’t answer these questions, call or fill out the form on the right. Error Code: When does it happen? Does it allow any printing? Any recent power outage? Does it give a letter or number code? Do you have it written down? Still no luck? Call or fill out the form on the right.